Enterprise Resource Planning (ERP) is a solution designed to address the challenges presented by attempting to maintain accurate records across numerous business systems according to eCommerce Integration for Dummies, written by eBridge Connections. These integration solutions have become one of the key building blocks for retailers looking to grow and expand their businesses. ERP software helps manage multiple business applications and operations from a single platform. This type of software allows eCommerce platforms such as BigCommerce to consolidate visibility for HR, finance, distribution, manufacturing orders, customer service and supply chain processes into one robust business suite. With the right integration solution provider, Coalition Technologies has found it’s possible to integrate any ERP solution with BigCommerce. However, we’ve noticed many integration providers tend to specialize in certain products over others. This is why it’s important to do your research and choose a solution provider that meets the unique needs of your business. A properly deployed ERP system can handle your business activities with a high degree of accuracy and reliability. 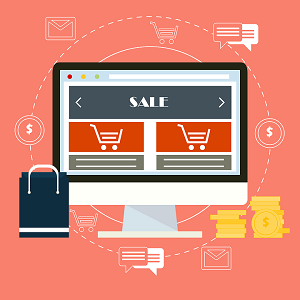 However, proper integration into your BigCommerce store is critical. If done incorrectly, implementing new systems can result in data fragmentation, with transactional and customer information getting moved or lost. While CSV transfers, API, and manual data transfers are all options for an ERP integration with BigCommerce, a fully-automated solution is much more robust and scalable. The best integration solutions are ones where data is pulled from an ERP system in its original format, converted into an easily configurable XML format, and then pushed to a format compatible with BigCommerce, using carefully coded translations and pre-established business rules. BigCommerce can handle both on-premise and cloud-based ERP solutions, but cloud ERP has increased in use in recent years due to the popularity of more economical third-party solutions. Cloud ERP refers to a solution utilized by companies who store all integrated data in a massive server hosted by a third-party vendor. These services charge an upfront fee, but there are no maintenance and upgrade costs to the partnering company. Naturally, cloud-based options offer more flexibility for businesses that use cloud ERP. They also tend to have lower maintenance and upgrade costs than on-premise options. Knowing which ERP solutions implement these applications amongst others is integral to finding the best one for your business. After all, you shouldn’t pay for products you don’t need, and you don’t want to miss out on more relevant products for your business. Research which features are most important to you when choosing the best ERP solution for your BigCommerce store. Virtually any ERP package can be integrated with BigCommerce, but the most common BigCommerce integrations we’ve seen tend to be with ERP solutions from NetSuite, Microsoft Dynamics, Epicor, QuickBooks, and SAP. NetSuite says they have a state-of-the-art user interface and navigational tools, and you’re able to use it on any browser. They are cloud-based and have also integrated understandable languages and processes for ease of use. NetSuite’s main offerings are in financial management, order management, production management, supply chain management, warehouse fulfillment, procurement, and human capital management. As well as all their base offerings, they have a lot of integrated add-on apps. Microsoft Dynamics claims the ability to manage the entire supply chain as well as make current financial data and reports accessible for business planning and regulatory compliance. They automate repetitious and routine functions so that employees can focus on more critical tasks and minimize the cost and complexity of administering salaries, benefits, recruiting, and performance management. This package provides greater visibility into key performance factors, such as profitability and potential issues and meets industry-specific needs with functionality for vertical business processes. Epicor claims to give you the ability to reach new markets, expand product lines and grow your business with deep Industry and country specific functionality. As a cloud-ready solution, Epicor drives improved customer experience and accelerates the digital transformation of your business. Epicor also works to expand collaboration within your company and throughout your supply chain with social and commerce solutions, allowing for quick responses to changing demands with configurable real-time mobile capabilities. While Quickbooks is technically not ERP, they assert themselves as the appropriate next step, providing features and functionality growing companies need without over-serving them. Through their suite of services, they can help companies make more informed financial decisions by delivering tailored reports that present information in custom visual representations. Quickbook’s solution also helps companies manage key workflows in an intuitive and integrated environment through advanced inventory tracking and management, advanced pricing features and advanced reporting. Additionally, they offer options for cloud hosting, field service management and Electronic Data Exchange (EDI). SAP ERP allows for easier global integration, meaning barriers of currency exchange rates, language, and culture can be bridged automatically. Updates only need to be done once to be implemented company-wide and they provide real-time information, reducing the possibility of redundancy errors. SAP claims to possibly create a more efficient work environment for employees. SAP’s user interface is completely customizable, allowing end users to dictate the operational structure of the product. Integrating your BigCommerce store with an ERP solution can help you manage huge volumes of business records while keeping your company running smoothly. While there are a lot of ERP packages on the market, there are only so many that have everything your business needs. It’s important to keep in mind all the applications you need to be implemented the most when choosing the best ERP package to integrate with your BigCommerce store. As a BigCommerce partner, we pride ourselves on having the expertise and insight to make websites efficient, intuitively designed, and optimized for the most revenue and growth-generating search terms. If you’d like to learn more about the best tools and strategies that can help your business succeed online, contact us today.